Cracker hits Seattle tomorrow night, Saturday March 14th! The band will perform at the Tractor, which will be an awesome venue for this group who created one of the very best song of the ’90s, “Low.” Okay, they’ve done other things in addition to that one, but damn! That song! What else could you ask for in a song? 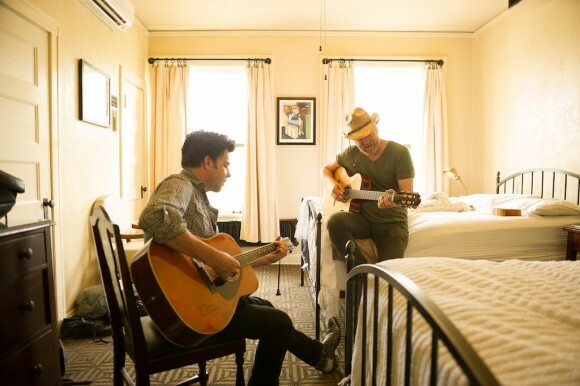 Founding members David Lowery and Johnny Hickman are on board for the tour, and will most likely emphasize material off the 2014 double album, Berkely to Bakersfield. But I am sure many tracks from all ten Cracker albums will make appearances, and one of the reasons I think the Tractor will be such a great venue for them is that it has a big alt-country/indie following. That’s perfect for Cracker fans. Another important thing to take note about this show: It’s an early one. Doors are at 5 PM, show at 6:00 PM. Written by: Dagmar on 03/13/2015. This entry was tagged cracker. Bookmark the permalink.